Common Misconception that mildew is safer than mould? Let’s be clear – mildew is mould, whilst mildew is the early stage of mould, it is still very unsafe to have in your home and can create many health issues especially for people with Asthma related conditions. 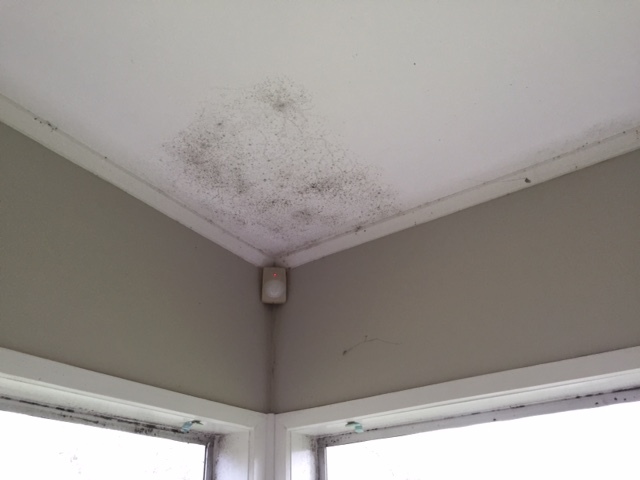 While mildew is usually caused by moisture generated within the house, such as from cooking, showering or lack of ventilation. According to Environmental Health – The average adult releases 1/2 litre of water per day just by breathing, so it is important to keep all rooms well ventilated. Ventilation allows the moisture to move outside. Mildew and other fungal growths develop from spores that abound everywhere. Mildew needs moisture to grow, so the more persistently damp an area is, the more likely mildew will grow. Try to air out the area as much as possible – fresh air will dramatically help the situation. If you have a condensation or mildew problem, try some of these tips. If the problem continues, there may be a construction fault that will need investigation. Keep your house warm, generally 5-7°C warmer than outside. A little heat constantly throughout the day is more effective than a lot of heat in the evenings although this can be difficult with busy working people/families. Busy Bees Wellington can assist with mildew & mould removal with a deep one off clean – contact us today for a free quote. If you find mildew growing on walls and ceilings, clean the area down with a damp cloth and diluted bleach or white vinegar. Use a test-patch to make sure the bleach does not affect the paint or wallpaper colour. If bleach damages the colour, try undiluted white vinegar or a fungicide solution, which you can buy from most paint or hardware shops. Rinse the area with soap and water and dry thoroughly. If you are repainting, use paint containing a fungicide, but never paint directly over existing mildew as YOU MUST remove the spores first otherwise you are creating a band aid and the mildew/mold will continue to grow. I personally have one wall that has a mildew issue and as soon as I seen any growth I spray it with diluted bleach. I also move beds and furniture off outer walls in the winter to be safe.